The Ronald Reagan Building and International Trade Center in Washington, DC. A block of discounted rooms has been secured for guests attending Evening of Wishes, for the night of April 6, 2019. Rooms can be reserved for a special rate of $229 at the JW Marriott hotel located just steps away. Please reserve your room by March 2, 2019 to receive the special guest rate. 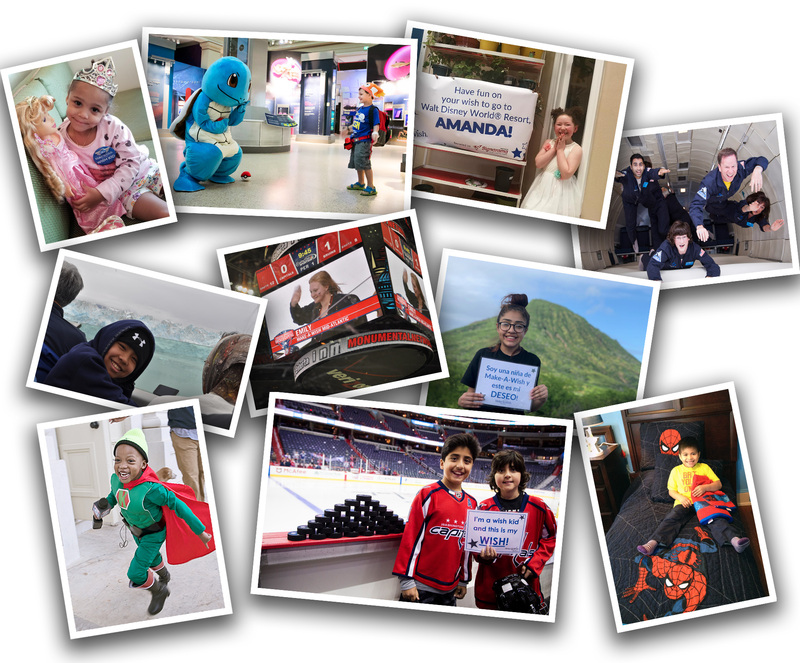 Make-A-Wish® Mid-Atlantic was founded in 1983 and has granted the wishes of more than 9,700 children with critical illnesses such as cancer, Duchenne’s Muscular Dystrophy and heart disease. The Mid-Atlantic chapter serves children who reside in the District of Columbia, Maryland and northern Virginia.